It did not go unnoticed to us Bigfooters when Mitt Romney called Bigfoot a hoax. It looks like some creative folks were quick to react with a well produced You Tube video. And Mainstream media is reporting it. The Hill, a news source that is written for and about the U.S. Congress, with a special focus on business and lobbying, political campaigns and other events on Capitol Hill. 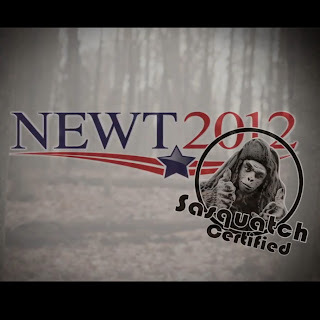 Has filed this report on Bigfoot's endorsement. Republican presidential hopeful Newt Gingrich got an elusive endorsement Friday — the political thumbs-up came from the often camera-shy Bigfoot. Conservative political media group Pass Code Creative released a video on YouTube in support of Gingrich one day ahead of Saturday’s South Carolina primary. The video piggybacks off Romney’s comments during Monday’s Fox News GOP debate. Sporting running shoes and a braided wig, a faux Bigfoot frolics through the woods slamming Romney for not releasing his tax returns. “Truth is, more people have seen me than have seen Mitt’s tax returns,” Bigfoot says. Romney has come under fire this week from opponents pressuring him to release his taxes. The former Massachusetts governor has said he will release the information in April after filing for 2011. 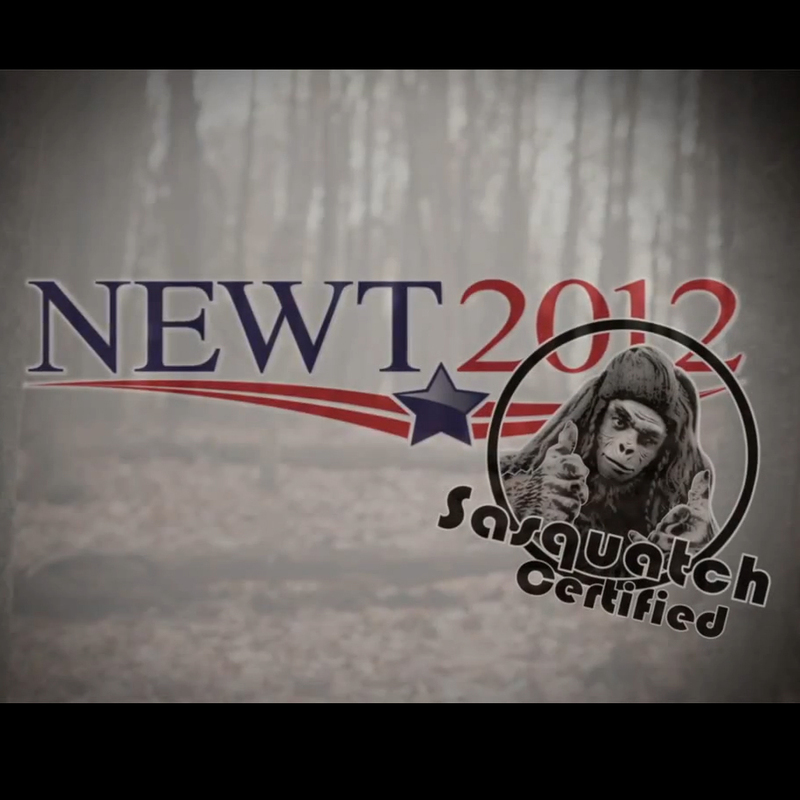 The vide's Bigfoot also took a swipe at Romney’s conservative credentials. Thanks for the heads up we posted the first one too.